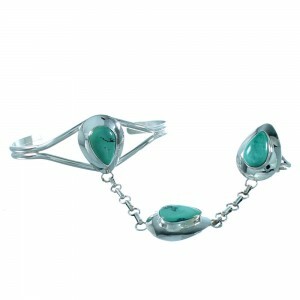 If you are in the market for a dazzling tear drop bracelet, look no further. 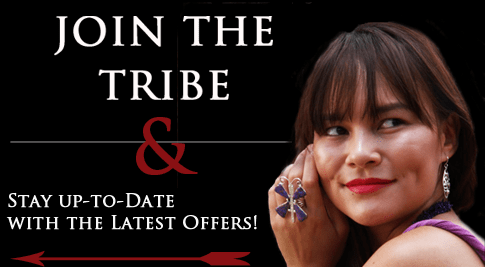 We have a great collection of Native American tear drop bracelets designed by the most talented artists from Southwest tribes such as the Zuni, Navajo and Hopi. Tear drop bracelets feature simple, elegant beauty. The star of the show is the large, beautiful gemstone centerpiece. 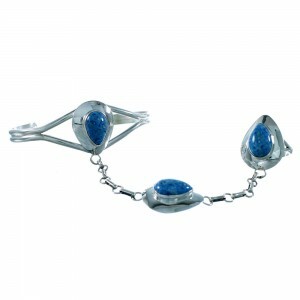 Our tear drop bracelets are sure to catch the eye of envious friends and family members. Cultures from around the world have mined stones for hundreds of years and believe certain gemstones harbor immense spiritual and healing powers. 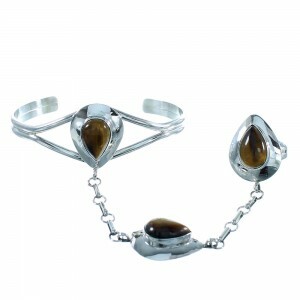 Some stones are believed to relieve anxiety and promote inner peace. 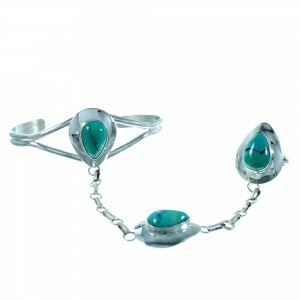 Others are thought to amplify positive energy and grant the wearer strength. Aside from the spiritual aspects, many of our customers purchase tear drop bracelets because of the dazzling style and craftsmanship associated with every product we carry. The tear drop design was one of the earliest implemented by Southwest tribes, who first began working with silver in the 19th century. Since then, the techniques and equipment have changed a bit, but the style and traditional look remain intact and always in style. 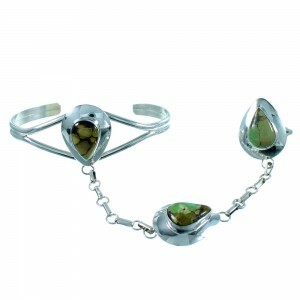 At SilverTribe, you will find top-quality tear drop bracelets made by some of the most talented artists in the industry. You'll always find a great deal on the perfect item to increase your collection. People looking for high desert fashion with a traditional flair have found the perfect online destination. Our product gallery is always growing and we always offer a massive selection of top-quality jewelry and art. Customers who expect the highest quality customer service, fast shipping and the best value consistently choose SilverTribe. We pride ourselves on a flawless record of customer satisfaction. We'll make sure your selection always ships promptly and for free. Browse our selection today and see why we are the premiere online retailer of fine jewelry produced to the highest standards of quality and beauty. You'll always find what you are looking for here. Sign up for our Preferred Member program today, by simply entering your email address. You'll get even steeper discounts and other exclusive offers.